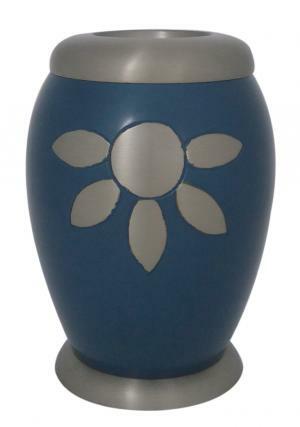 Nirvana Azure Tealight ashes funeral urn specializes in freedom of life similar to open blue sky. 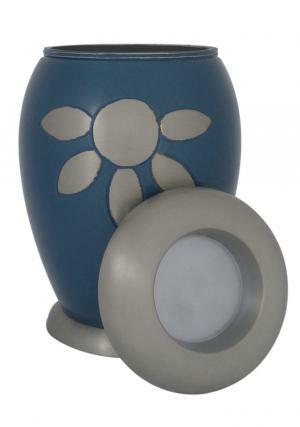 The tealight urn is decorated with a centered stone surrounded by petals in pewter which is enameled with open sky blue. The urn has a pewter polished finish at the bottom and top. 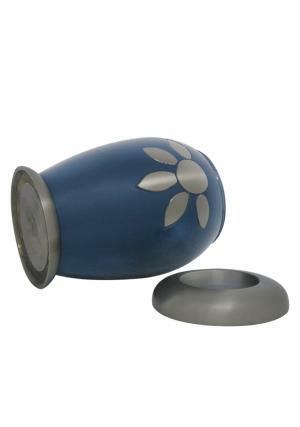 The top of the urn is decorated with an easy removable lid to secure the ashes inside and close. 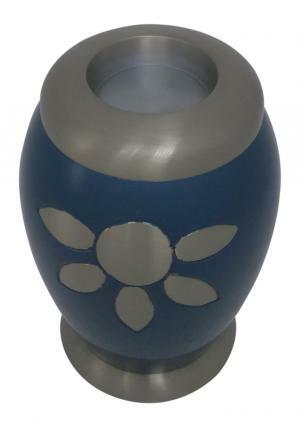 The Nirvana Azure Tealight cremation urn for ashes has the dimensions of 3.74 inch width, weighs 1.2 kg which stands 5 inch tall and measures 18 cubic inch of ashes.